With the advent of the LCD video projector came a new kind of light source, the UHP mercury lamp featured here. Early projectors made use of short-arc xenon lamps but these require bulky control gear and are difficult to make in small sizes suitable for modern projectors. 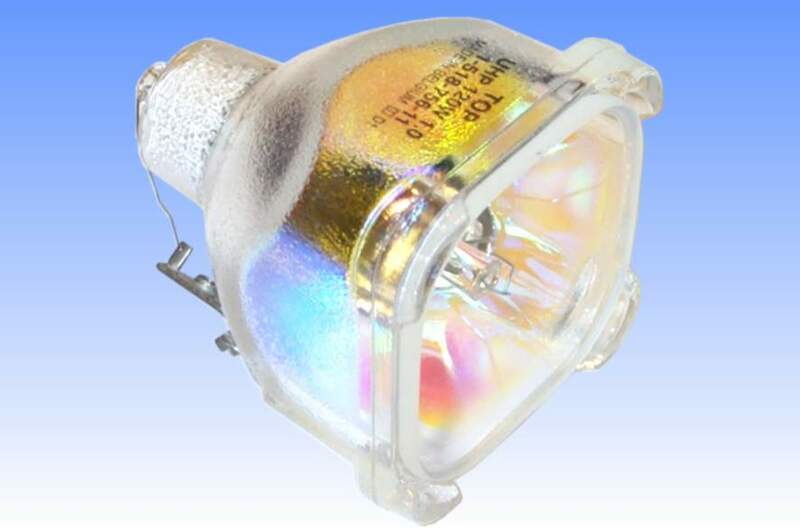 Compact metal halide technology rapidly superseded Xenon in the smaller projectors, and is a much lower cost technology which makes use of simpler, cheaper and smaller electronic control circuitry. 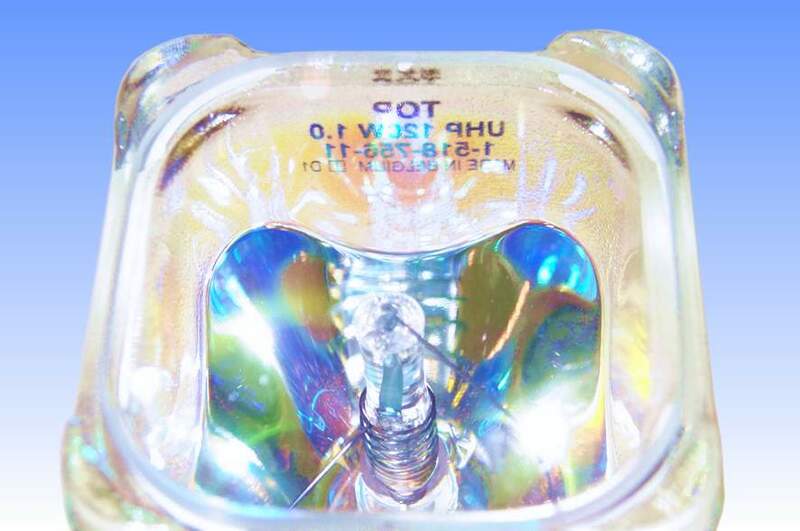 However, a disadvantage is that the addition of metal halide salts to the arc has a general tendency to increase the arc gap between the electrodes for each given wattage. The continuing drive in video projection is for smaller units, and smaller lamps with smaller reflectors are required. 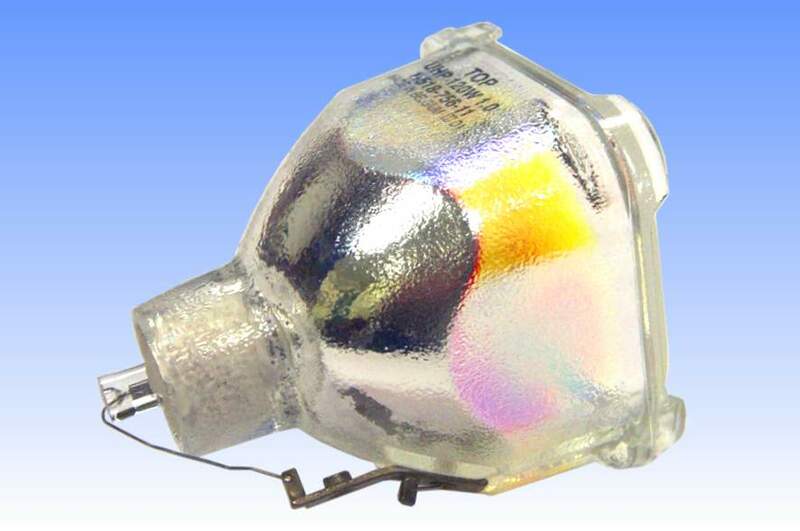 To maintain efficiency, a smaller reflector also needs a lamp having a shorter arc gap, and now the limit has been reached for metal halide technology. 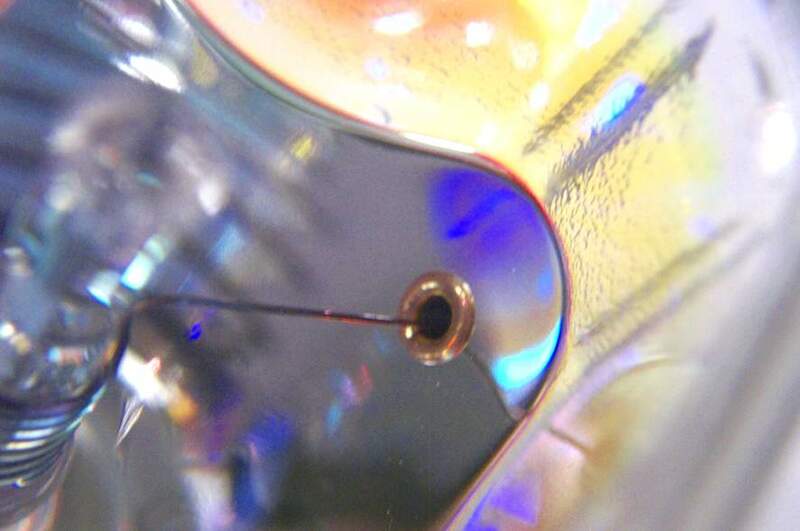 The mercury discharge, however, can be made with an exceptionally short arc gap - just 1.0mm in the case of this 120W lamp. 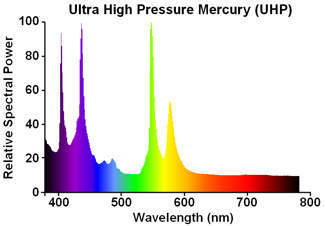 By operating the arc at high pressure, typically in excess of 200 atmospheres, the narrow mercury spectral lines are broadened and the lamp has moderately good colour rendering properties. Of crucial importance though is the fact that system efficiency remains high owing to the very short arc gap of this lamp. The arc tube is mounted within a cold-light dichroic reflector, and a UV-emitting source is contained in one of its end seals. An antenna coil surrounds the UV capsule and the radiation produced lowers the ignition voltage of this lamp so that even simpler control gear can be made. References: 1) Photometric Test December 2002.